Children often geek out over very different things than adults do so the focus today is on them. Think about the movies and games they love and watch multiple times rather than more grown-up genres like books or collectibles. I can’t remember how many times I had to sit through repeat episodes of Spongebob with my niece but she knew every word of every episode and would repeat them all through the show! First up, we have a small selection of plush Easter baskets, perfect for a younger child on their egg hunt. 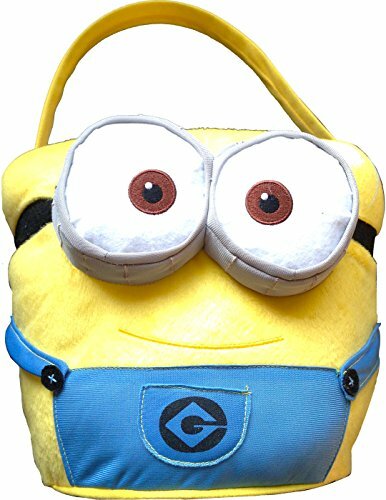 I love the Despicable Me Minion basket – the Minion design just fits so well to so many different items and this Easter basket is no exception. 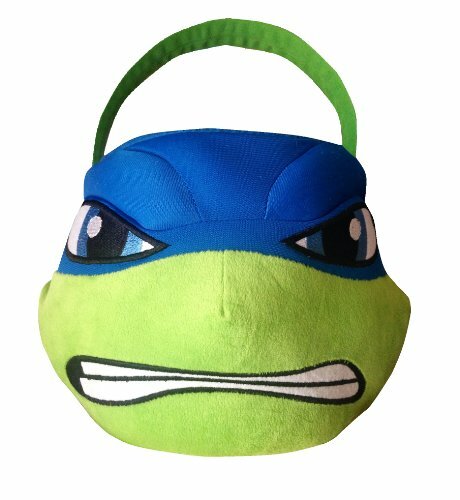 The Teenage Mutant Ninja Turtles basket is available in three of the four Turtles, although they are in short supply so if TMNT is your childs favorite, you need to grab one quickly! If you’re struggling with time or ideas for an Easter basket for your child, these gift sets might help. 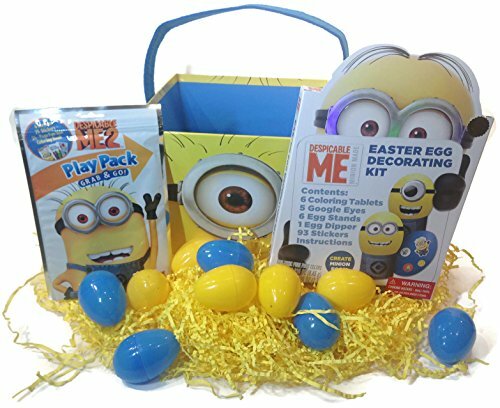 The Despicable Me set includes a sturdy basket, an egg decorating kit and a grab & go coloring book with crayons and stickers. Just add a candy treat in there too and your child will be over the moon on Easter morning. 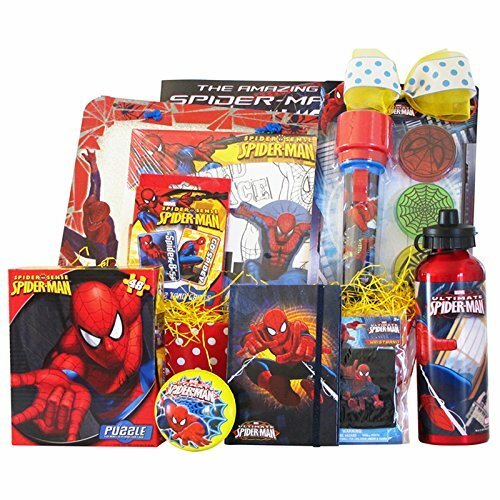 The Spiderman gift set also has a great selection of activity items – including a coloring book, a journal, a ball, a water bottle and a wrist band as well as some other items. 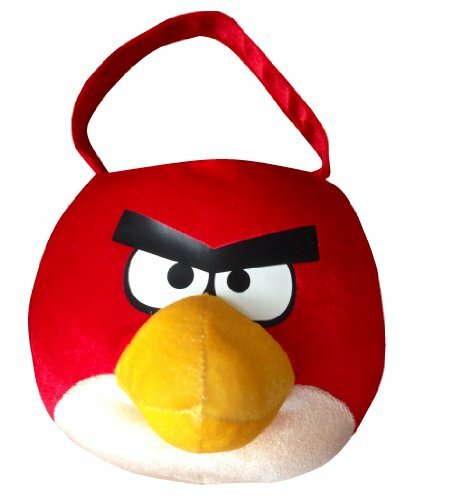 All kids love an Easter egg hunt so imagine how happy they will be to hunt for these cool geeky eggs in their favorite themes. 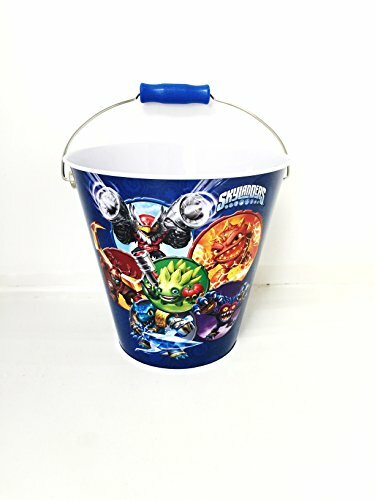 The Spiderman Eggs are actually only the container part, you’ll need to fill them with candy yourself but I’m sure your Spiderman loving child won’t notice that it’s just ordinary candy! 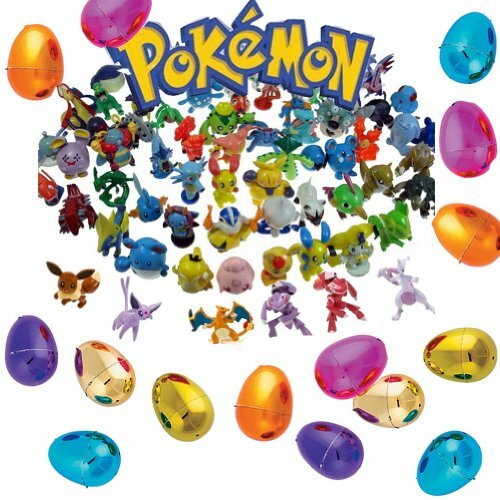 The Pokemon metallic eggs set includes 12 egg containers and 24 different mini Pokemon – a great gift for any Pokemon fan this Easter. 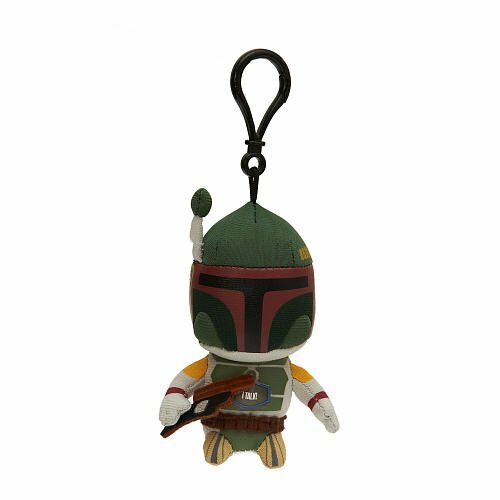 I found a couple more Star Wars themed mini plush keychains for you – Boba Fett and a gorgeous cute Chewbacca too. 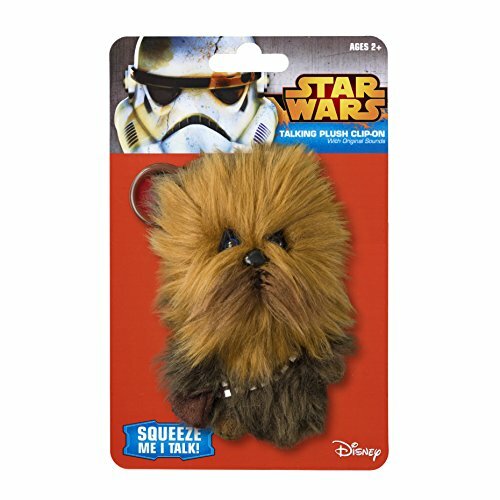 Check out our Star Wars Easter Baskets post for Yoda and R2D2 keychains. 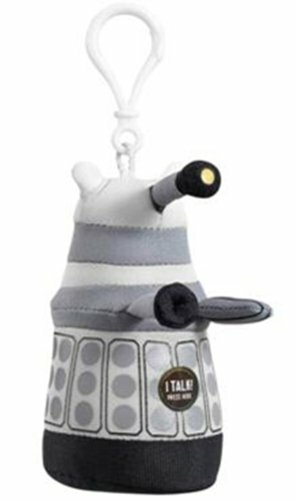 My favorite is the mini talking Dalek keychain from Doctor Who – this one is white but there’s also a red Dalek keychain too. 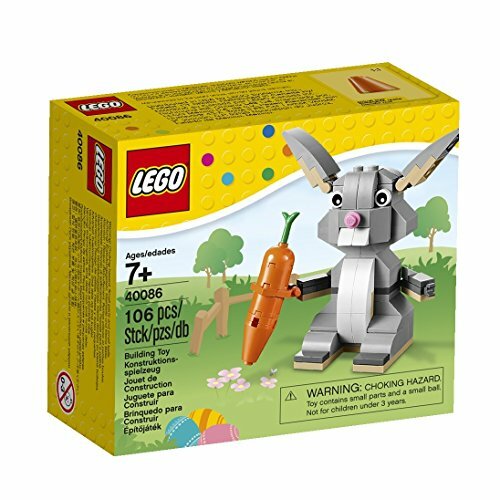 It seems to me that there is a Lego set for almost any occasion or subject and that includes Easter. 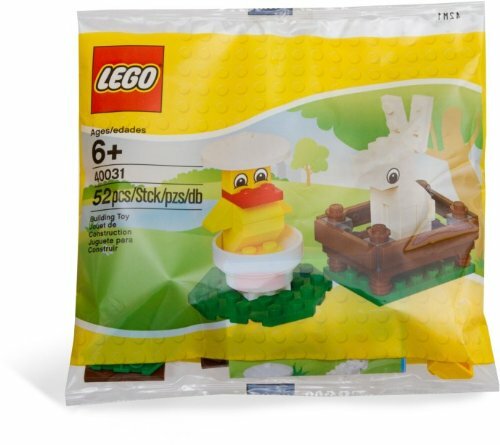 Most kids I know love their Legos so these Easter Lego sets are bound to make them smile. 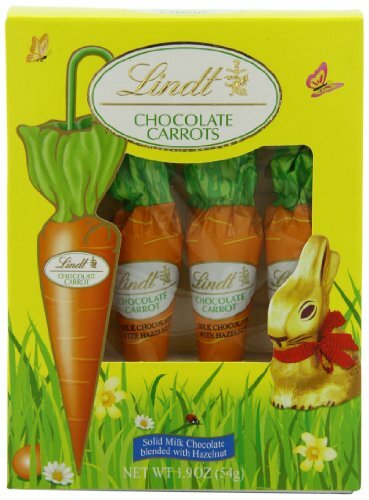 There’s a bunny with a carrot, a bunny and chick set or the larger set which has an Easter Egg decorating theme to it. 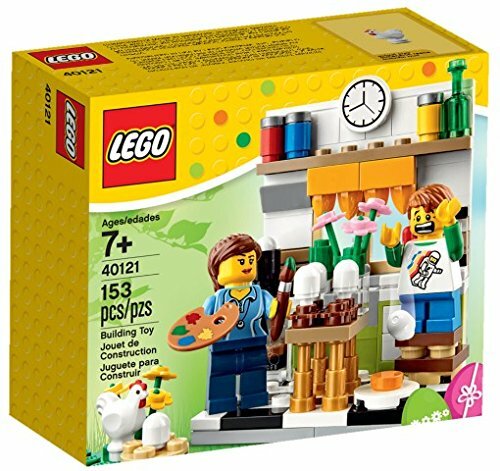 It includes a kitchen scene as well as mini figures and even a tiny hen for the garden to lay more eggs for your child to paint! 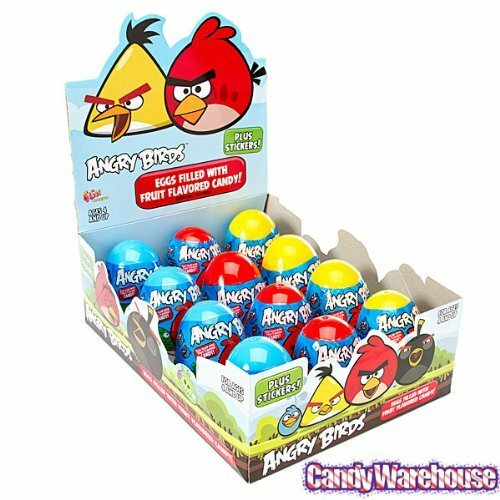 Lastly, we have a few cute Easter candy items that will make your child smile – as well as bounce off the walls but that’s your choice as a parent! The Easter Bunny Peeps and Lindt Chocolate carrots aren’t really geeky but they still made me smile so I included them! 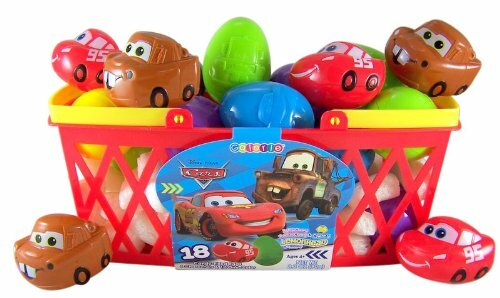 The Disney movie Cars is always a firm favorite around here so this 18 piece set of Cars themed candy filled eggs would be perfect. 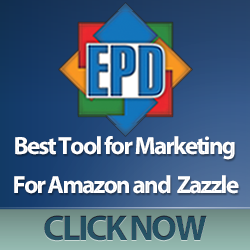 I hope you’ve found some great ideas for your childs’ Easter gift basket or Easter Egg hunt. Just remember that all they really want is loads of candy and fun time with the most important people in their lives & that’s you! I remember clearly a few Easter mornings, sat in the middle of my parents bed and unpacking my Easter gifts. It was like Christmas all over again and I loved it! 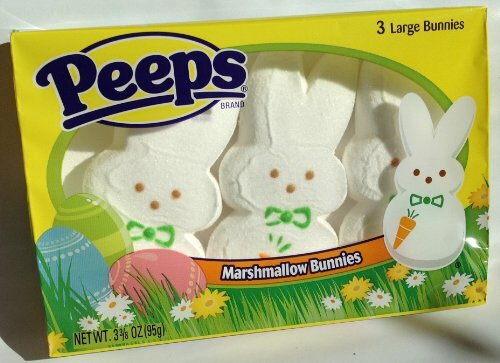 Don’t forget to check out our other Easter Basket posts!